pretty much what it sounds! 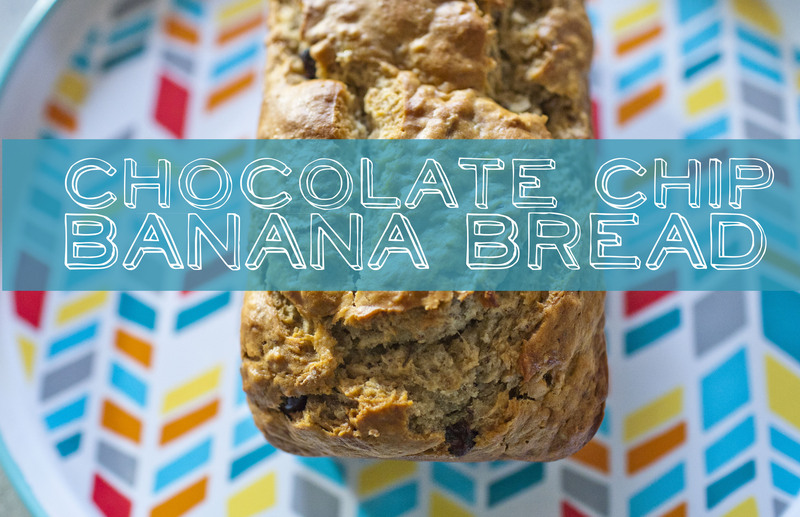 Recipe over at shutterbean’s blog. 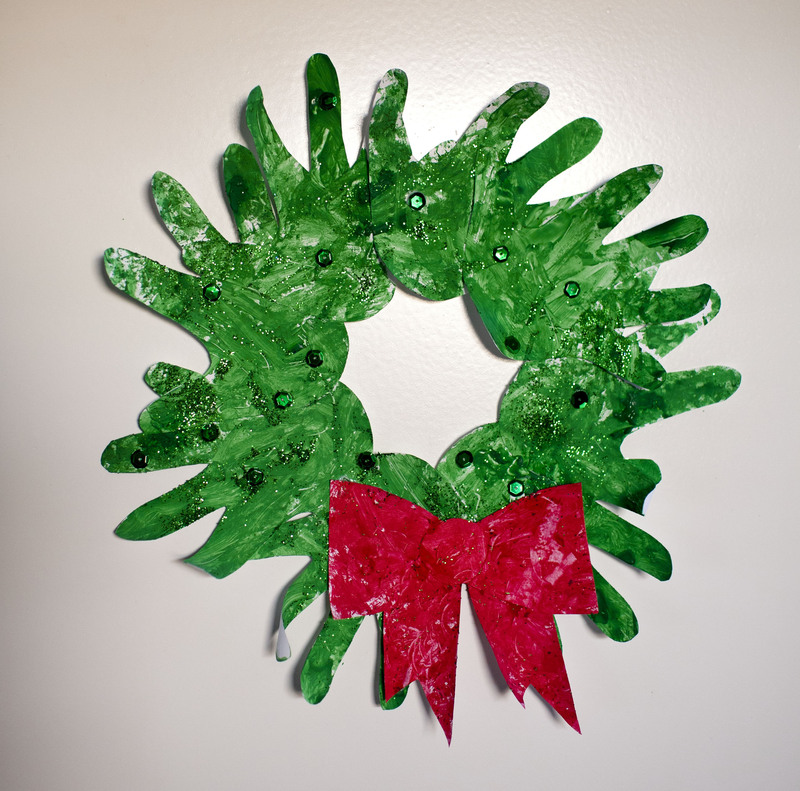 I worked with milo on this wreath we made out of his hand. We painted it, glittered it and add sequins. Its proudly hanging in our kitchen now. 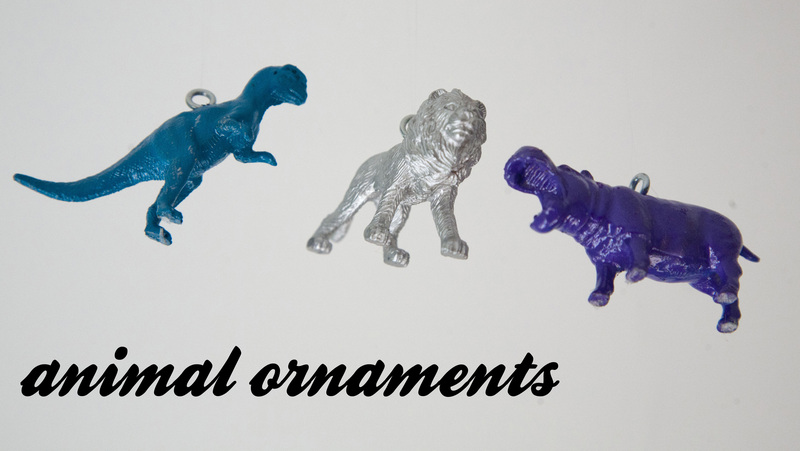 I turned some little plastic toys into instant ornaments using spraypaint, eyelets and fishing line. 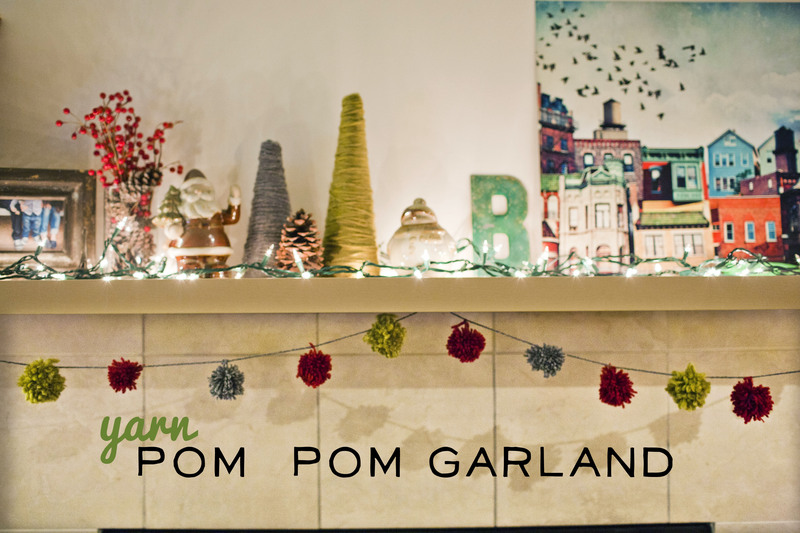 332. yarn pom pom garland & christmas mantel. I made these little yarn pom poms and strung them together to make a garland to finish of the christmas mantel. We still need to hang our stockings! 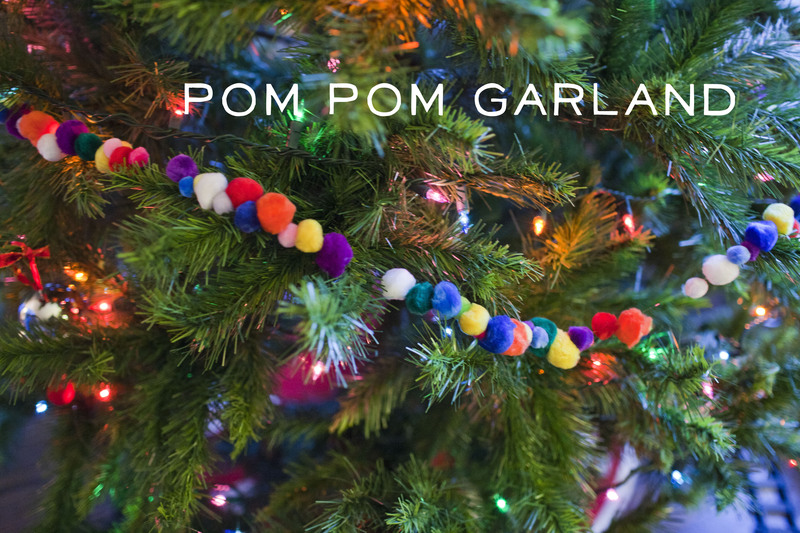 It’s time to put up the crimmis tree, so that called for some homeade pom-pom ball garland. I strung these little pom poms that i got at michaels on some fishing wire using an embroidery needle. Little buggers kept getting tangled. But I think they are cute and a great addition to our tree! now that we have a mantel, I’m working on ways to decorate it for the holidays. 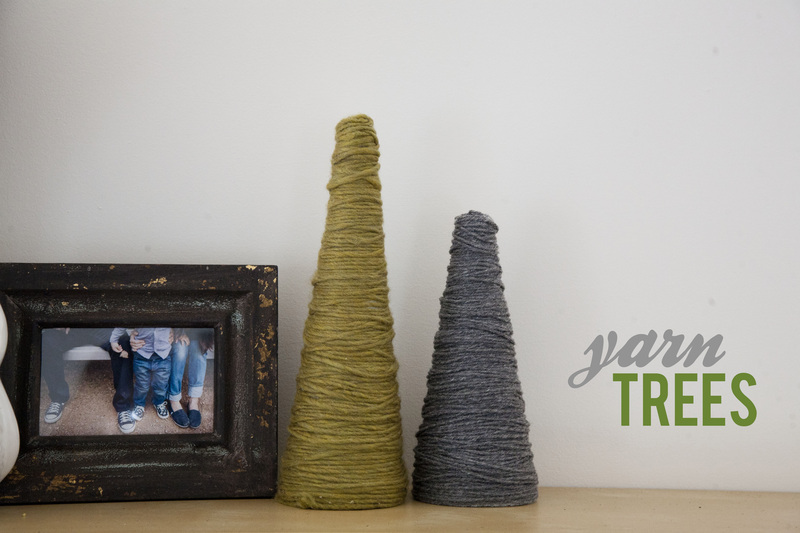 I made these simple yarn trees by wrapping a styrofoam cone with yarn! We have a wood burning fireplace in our house now and I’m loving it. 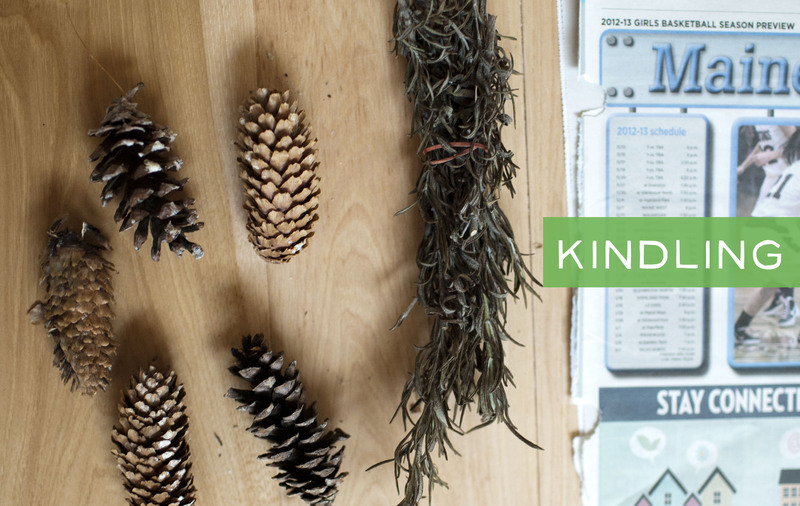 I saw this recently and thought it would be a great idea, since we have lots of pine cones in our yard, and I have leftover rosemary that needs to be used up. 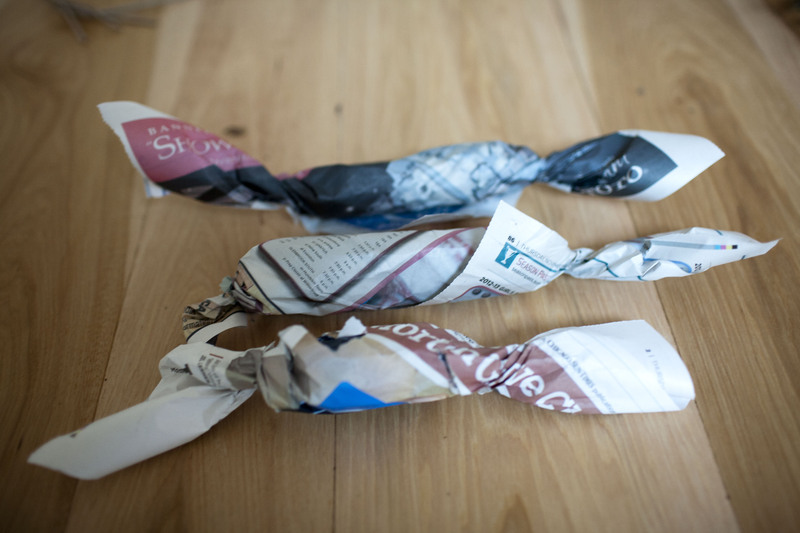 You basically just wrap a pine cone or two and some rosemary in newspaper and tie the ends together with twine or rafia. 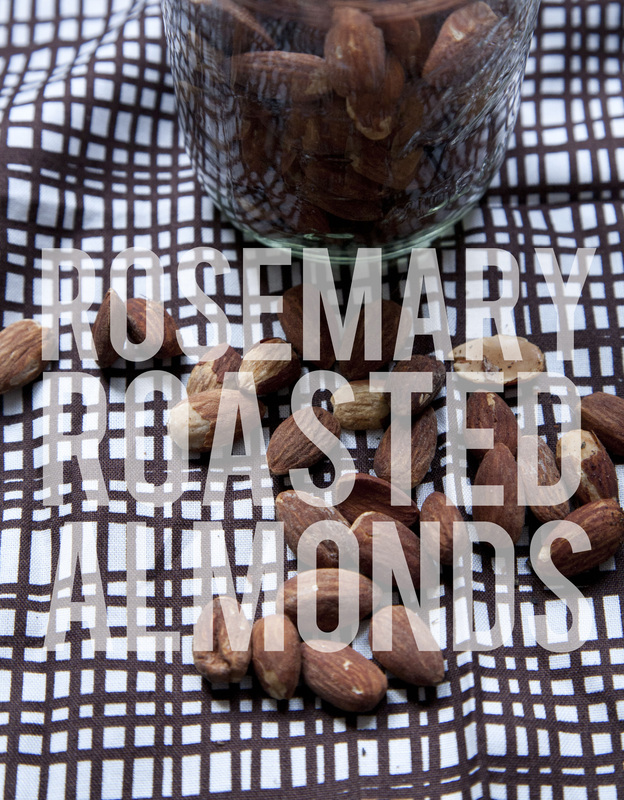 (I just twisted mine) The rosemary gives off a really nice scent as these burn up. 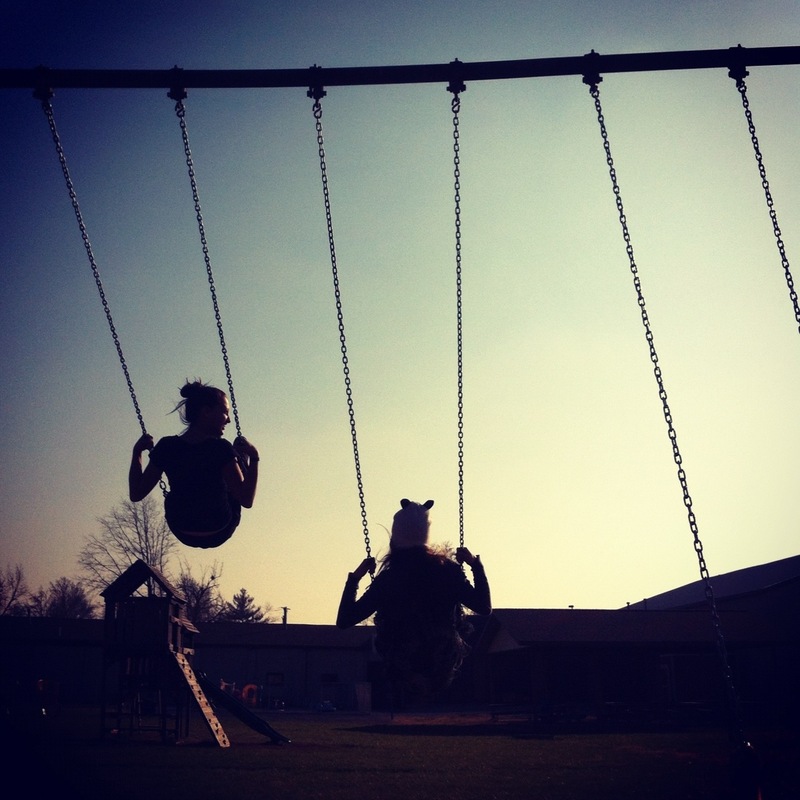 This is such a good idea, and such a great way to use up everyday things you have laying around. So glad I came across it! Ok. This will be last infinity scarf or a while probably. I took advantage Of our six hour car ride today and whipped this up. 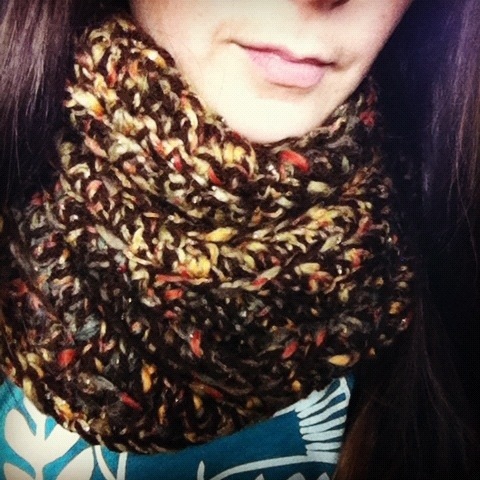 I used the same pattern I made the last scarf and the green cowl from last week, only I used the a size 10 hook and used two yarns together. It’s kind of bulky- it wraps three times so its probably more functional (warmth) than fashionable.